Some times it’s best to let someone else work things out! Making our own PoE and voltage regulator was perhaps a step too far when this off the shelf PoE adaptor is so inexpensive and easy to use. It was fun to try and make our own. Except for the time I clamped the device in my crocodile clips to test the voltage which of course resulted in a puff of smoke because I shorted the whole thing! I learnt a little more about the importance of heat sinks and neat soldering. But perhaps our time would have been better spent on more important elements of the project. These TP-Link devices come with a 48v supply and converts down to 12V, 9V, or 5V DC over a 100 meters of Ethernet. I had to make my own Micro USB to 5V adaptor to power the Pi – only because that’s it’s a simple bit of bodging and I have loads of USB cables I could hack into. The unit we’re using in the CDC Weather Station, the TP-Link POE150S, isn’t available any more. 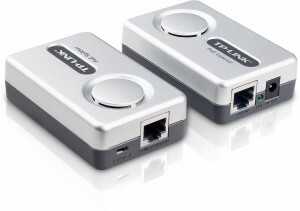 The replacement is the TP-POE10R – which costs around £10.00 – worth every penny!